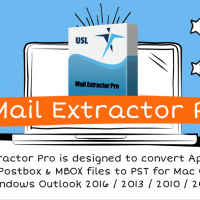 OLM to Mac Mail Converter that you should go for an effortless and seamless conversion: OLM Extractor Pro. Finding a reliable converter that makes your conversion life easy, is tough. From a million options you have to choose the perfect OLM to Mac Mail Converter. It’s like finding a needle in the haystack. And this article is your magnifying class. OLM Extractor Pro is the tool that you always wanted but never had. The tool offers you best of all the features that give you a seamless conversion experience. It offers you all that you want in an OLM to Mac Mail Converter. It offers you all the control, accuracy and speed, the combination that is required for a perfect Mac Outlook to Mac Mail Conversion. Searching of a new email converter tool every time your OLM to Mac Mail Converter failed to convert your input file into the desired choice, is the task that every one of us has done. It’s more of a compulsion than a choice. OLM Extractor Pro relieves you of that compulsion. This so-called OLM to Mac Mail Converter not only converts your Mac Outlook to Mac Mail but also convert OLM to Thunderbird, Entourage, MBOX etc. This gives you the freedom of choice when it comes to the format of your output file. You can easily manage more than one accounts simultaneously or hop between formats as you like. This was the control that you never had with your previous OLM to Mac Mail Converter. So, no more searching for a new converter tool every time your converter fails to convert anything other than Mac Outlook to Mac Mail. Tool does full justice to these two words, “convert everything”. 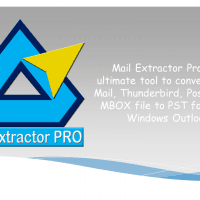 OLM Extractor Pro offers you the best conversion accuracy for a OLM to Mac Mail Converter. You won’t any of the problems that you have been struggling with in the past. Like, data being getting left behind or being left unconverted. 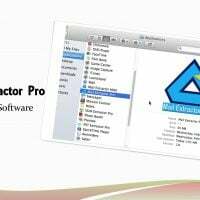 OLM Extractor Pro makes sure that everything is loaded for the conversion process into the tool. And then during the conversion process this OLM to Mac Mail Converters converts everything down to the last bit. The tool ensures that you don’t have to take a second go at the same file to get perfect conversion of your Mac Outlook to Mac Mail. The tool even retains the folder hierarchy of the input file to give you an exact copy of the input file. This solves your post conversion life as well by making post conversion operations like navigation and debugging easier. Normally, the interface of a Mac Outlook to Mac Mail Converter is filled up with all the things that the tool has to offer. This makes the conversion process more confusing and tough. But that’s not the case with this OLM to Mac Mail Converter. The interface of OLM Extractor Pro is one of its outstanding features. The tool offers you a simple to handle and use interface that only shows you what is necessary for your conversion process. With wizards and dialog boxes to guide you through every step of conversion, the whole experience turns into a pleasant experience especially for the newbies. The tool offers you a free to download trial version that offers you all this and a lot more. So, get your copy today.